The bachelor’s program Industrial Design is a three-year program of 180 ECTS. 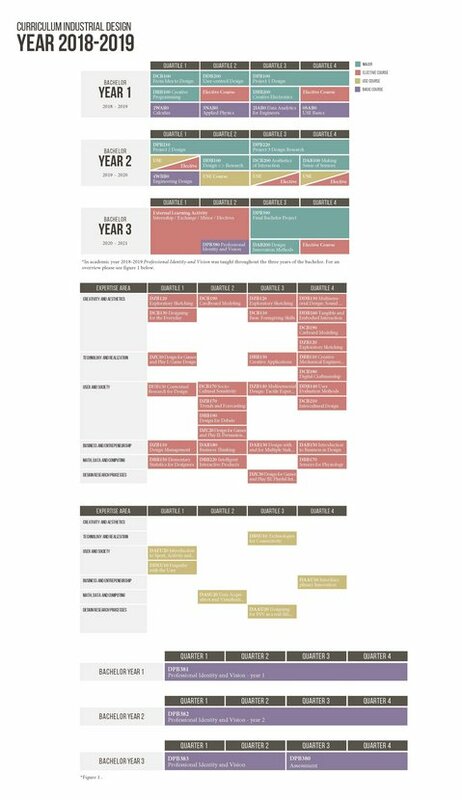 Check our external website for a more general overview of the program structure. On this page, you can find the curriculum that applies to you. The program is composed of core design courses, basic courses, electives, projects and a USE learning trajectory. This course structure (click to enlarge) applies if you start your bachelor's program in September 2018. 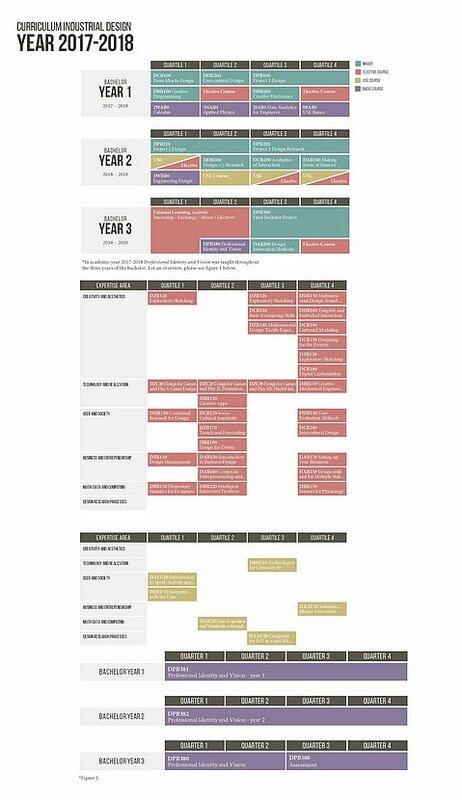 This course structure (click to enlarge) applies if you start your bachelor's program in September 2017. To help you plan your program, please download the year planning. Besides the mandatory core courses and basic courses, you can select one USE learning trajectory, four projects and several electives - either Industrial Design electives, or electives from other TU/e departments - during your bachelor's program. We advise you to discuss your choices with your tutor or teacher coach. If you have any questions regarding your curriculum or need more help with your choices, please contact your study advisor. Via the Osiris PlanApp (accessible via MyTU/e) you can plan your program in a timetable. The PlanApp shows when electives clash with a compulsory course. To set up a feasible schedule, each course is linked to a certain time slot.